DETROIT, MI – When it comes to hip-hop, Marcus Ragsdale has a novel approach … literally. 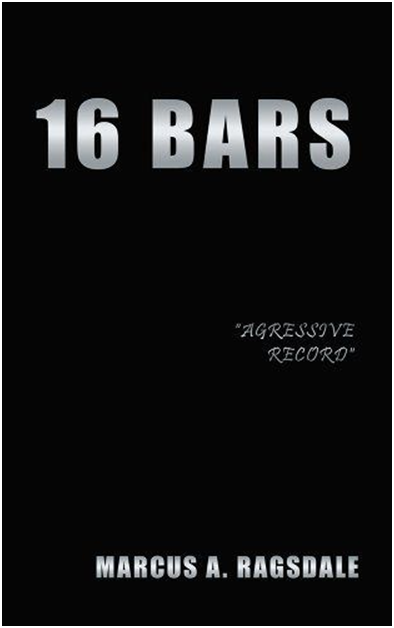 Before releasing any of his music or collaborating with anyone on an album, Ragsdale is releasing a full novel’s worth of poetry in a new book entitled “16 Bars.” He hopes the book will introduce him to the world in ways that will inspire others and put his name on the map and draw attraction from big-name labels like Def Jam or Rock Nation. But it’s not your typical chapter book – it’s a book so unique that it almost feels like an album – or, more appropriately, a book of albums. In fact, he describes the project as a five-album career that encapsulates poems that tackle subject matter about anything from self-realization to building up the African American community. Ragsdale has provided a sample of his book on his website 16BarsByMarcus.com. Fans can also purchase the book on the website. To find out more about Ragsdale, or to keep tabs on new releases, fans can follow him on Facebook and Twitter under the name 16bars@MarcusRagsdale.